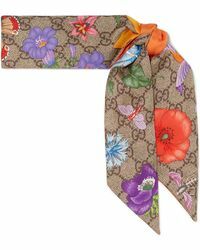 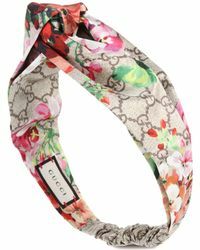 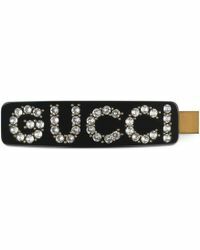 Gucci is a luxury heritage label founded in 1921 by Guccio Gucci. 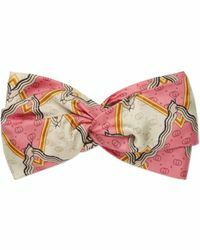 Beginning as a leather goods label, the Italian fashion house is known today for its ready-to-wear collections, fine leather handbags, accessories and more, underpinned by traditional made in Italy craftsmanship and timeless yet contemporary design. 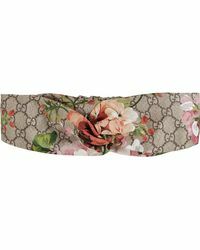 Since its founding in Florence almost a century ago, the brand's iconic GG logo and web trim stripes are instantly recognizable world-wide, featuring heavily across the collection of bags, wallets and scarves and hair accessories. 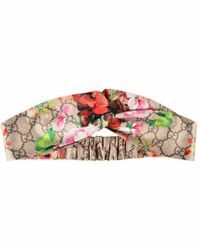 Featuring chic headbands with the label's signature logo, Gucci's collection of hair accessories are the epitome of timeless Italian style.